Happy Easter! We’ve got Four Days of Steam this weekend with trains departing Sittingbourne Viaduct station hourly 11am-4pm. On Good Friday there will be an opportunity to pot a plant plug, decorate a sleeve and take it home with you (whilst stocks last) and on Easter Sunday there will be an Easter Egg Hunt at Kemsley Down. 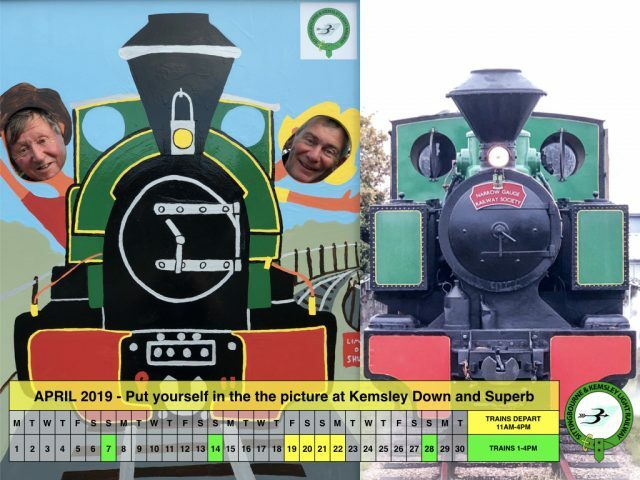 There’s plenty to see and do at Kemsley Down, particularly the free Wheels of Time exercise for children, the museum, shop and Footplate Café so allow two hours for a relaxed visit. Trains return at 11.35am, 12.35pm, 1.35pm, 2.35pm, 3.35pm and 4.45pm. Special fares apply for Steam & Beer. Find out about our latest fundraiser for our 50th anniversary – Premier Parts. Premier is now being reassembled ready for display at Gala Weekend in September. Wednesday 29th – ordinary timetable – trains will depart Sittingbourne Viaduct station hourly 1-4pm – this is a great midweek opportunity to visit the Railway and something to during the half term holiday.